2018 couldn’t have possibly started any better for Kitty Pryde. In addition to finally getting engaged to long-time love interest (and X-Men partner) Colossus, Pryde could be starring in her own movie. Despite numerous cameos in previous films, Deadpool director Tim Miller confirmed that he is currently developing a solo project. Since she burst (phased?) onto the scene in the early 1980s, Pryde has been a fan favorite. 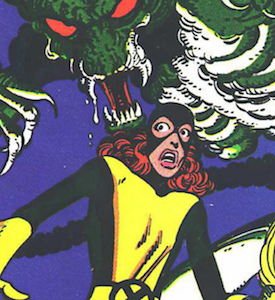 As the youngest member of the X-Men, she was the team’s lovable "kid sister" and much more relatable to younger readers. On the heels of the reported Fox-Disney merger, this is huge for potential investors. Pryde’s many team affiliations, including her recent membership with the Guardians of the Galaxy, make it possible for her character to unite the two film "universes." These multiple team-ups give her character greater range within the growing movie universe. 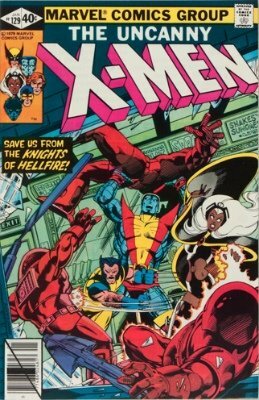 However, Pryde’s early appearances with the X-Men are the most collectable. These Modern Age books offer great opportunity for beginning investors who are looking to build their portfolios without mortgaging their homes (or the X-Mansion) to do so. Introduced as a 13-year-old girl, Kitty Pryde finds herself immediately caught in the middle of a classic X-Men "tug of war". Both the X-Men and the Hellfire Club are trying to recruit her to their respective causes. While she eventually decides to enroll at the school, this is only the beginning. This issue is extremely sought after and not just because of Pryde’s instant popularity. 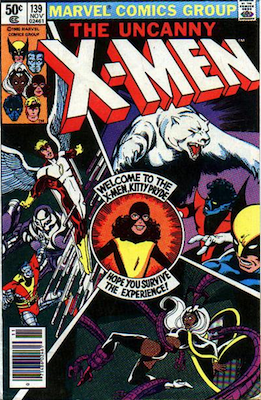 This story marks the start of the "Dark Phoenix" saga, and also includes appearances by the Hellfire Club, Sebastian Shaw and Emma Frost. For these reasons, Uncanny X-Men #129 continues to outperform its Overstreet prices at all grades above 9.0. In just 10 issues, Kitty Pryde catapults from teenage wunderkind to the team’s youngest, full-fledged member. 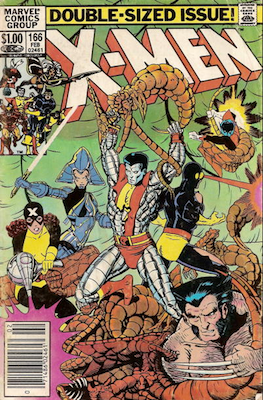 While Wolverine also sports his red-and-brown costume for the first time, Pryde steals the show and earns prime real estate on the cover. The bad news: This is a common issue to find in high grades. There are 157 graded at 9.8 in the CGC Census. The good news: It is not expensive to obtain right now. Because it features Pryde predominantly on the cover, it could still see some increase in value as the movie approaches. This book is low-risk for beginning collectors. 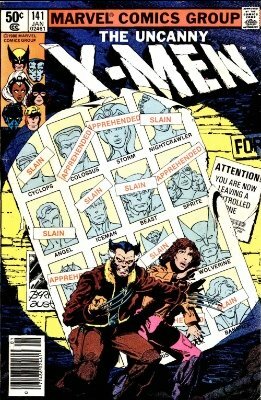 Considered one of Marvel’s most iconic storylines, "Days of Future Past" finds the remaining X-Men in a dystopian future where mutants are being hunted and imprisoned. Kitty Pryde (now an adult) must travel back in time by transferring her mind to her younger self and attempt to save the mutant race from extinction. Already used in a recent film, it is unlikely this sees a reboot so soon. Yet, it is still a classic story and cover. Her role in the storyline makes this issue 'key' for any Pryde collector. This book is not nearly as common as other Modern Age books in grades above 9.0. 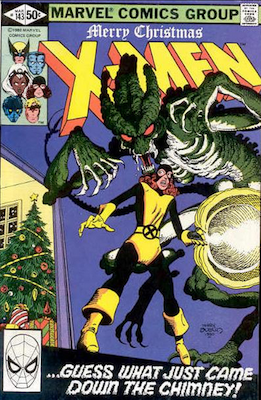 This single-issue story features Kitty Pryde alone on Christmas Eve when a demon attacks. She must mount a one-woman stand to protect the empty school from destruction. If you’re speculating on a potential story that could be reimagined into a movie, this should be at the top of the list. In an era where every superhero movie likes to have a second "sub-genre", this checks a lot of boxes. Think Gremlins meets Home Alone. Ending a legendary run by Christ Claremont and John Byrne, this issue is widely considered one of the greatest final issues for any creative team ever. This also, unfortunately, makes it easy to find. If this does become the basis for a movie, the prices will increase but only in the best conditions. An alien dragon and long-time companion of Pryde, Lockheed makes his comic debut in this issue. Pryde initially meets this cat-sized creature and likes him because of its resemblance to a creature from a fairy tale. As it turns out, the purple dragon is actually a space-traveling extraterrestrial from a highly-advanced race. Nevertheless, Pryde names and adopts him. Lockheed has appeared in some animated works but will already be making the jump to the big screen without his most-famous friend. The New Mutants director announced his plans to use the dragon, which was confirmed with the release of the first trailer. What role Lockheed actually has will determine how much value this issue builds going forward. Although it is unlikely the original Wolverine will play a role in any Pryde movie, this mini-series is another arc that could serve as a plot for a future film. This story chronicles Pryde's "coming of age" — transforming the character from a light-hearted child into a teenager who experiences self-doubt while attempting to find herself. As Wolverine and Pryde travel to Japan to fight the Yakuza, the grim story balanced with the brother and sister-like dynamic between the title characters help make this a prized comic. Most importantly to investors, this work solidified Pryde’s image, as she finally picks a costume and chooses the codename "Shadowcat". This became the character’s identity through most of the 1990s. 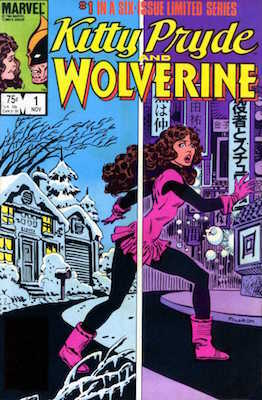 Issues 5 and 6 are the first covers featuring her in the Shadowcat attire. For Modern Age books, there are surprising low numbers rated above 9.0 in the CGC Census. 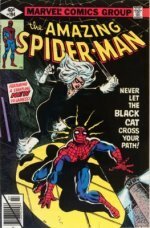 Acquiring one of these issues (or the entire series) in high grades could pay off in the near future. Just because a film is in development, there is no guarantee when (or if) it will be released. 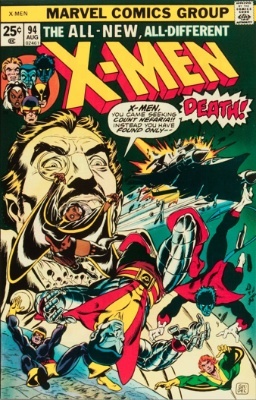 However, Pryde comics provide a relatively low-risk entry into the typically-expensive Uncanny X-Men market. Find out values for X-Men, Avengers, Spider-Man++. 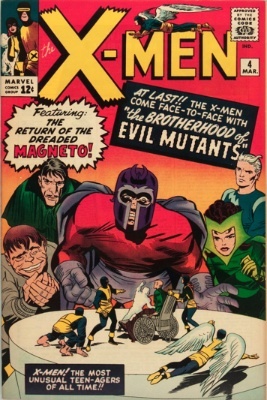 Find out the value of first appearances of famous X-Men bad guys, including Magneto. 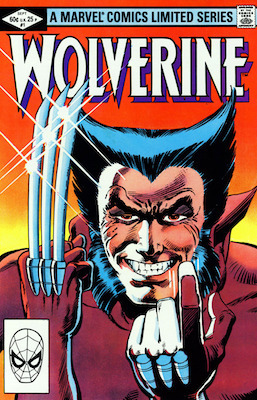 From his first appearance in Hulk #181, Wolverine is a fan favorite. 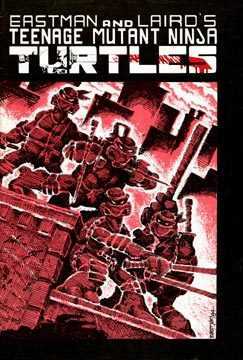 See the top 60 most expensive comics from 1980-1992, including TMNT #1. 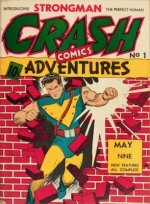 Insure, Appraise or Sell Your Comic Books Today!